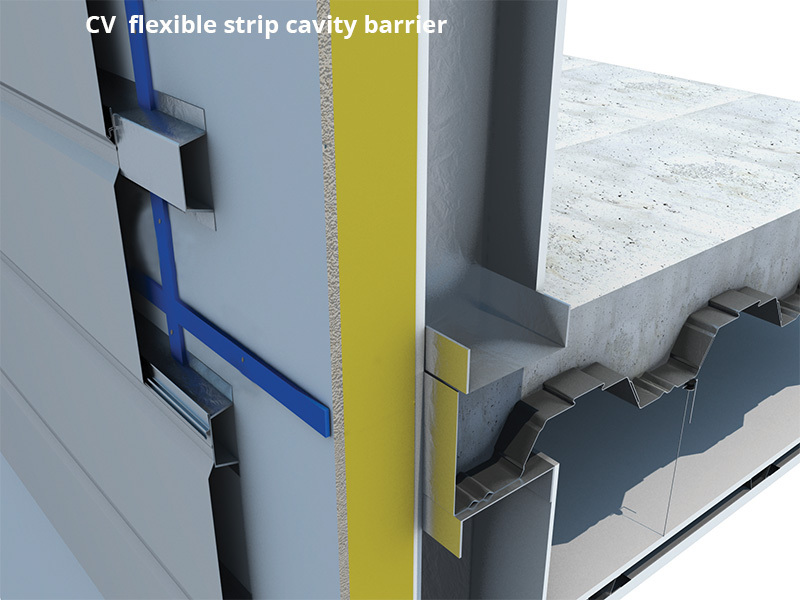 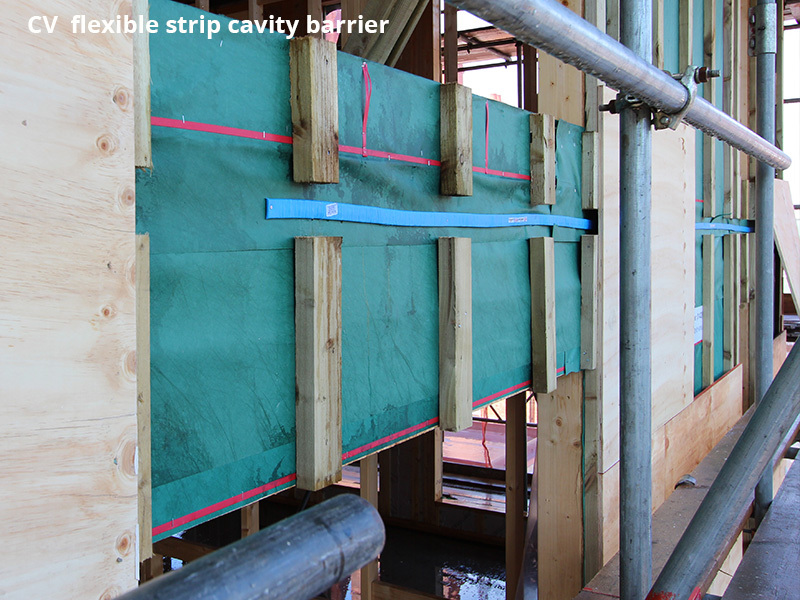 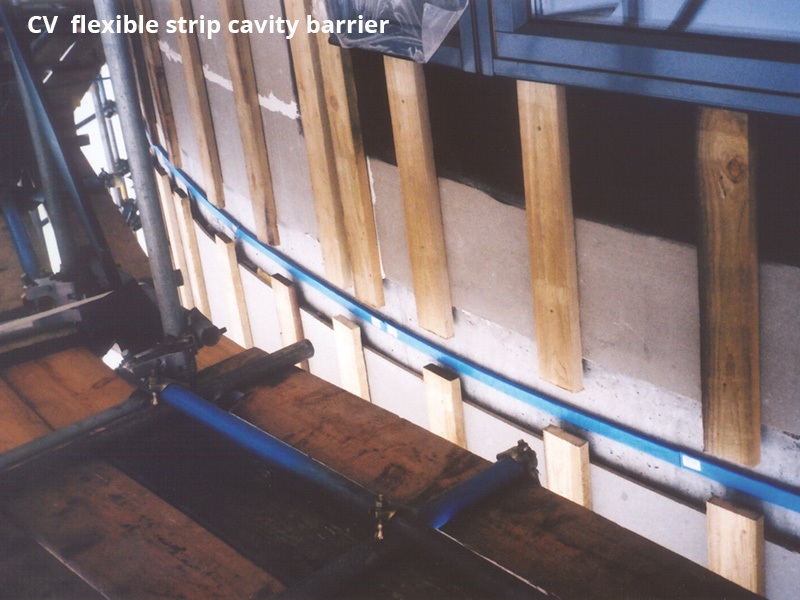 A range of lightweight, adhesive-backed cavity barriers, ideal for use in timber-framed buildings, party walls and cavity surfaces with with a rendered finish. A flexible, PVC and foil-clad intumescent strip with self-adhesive backing to adhere it to walls. 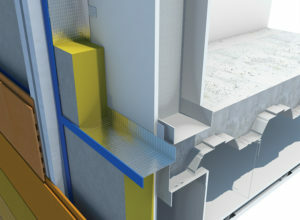 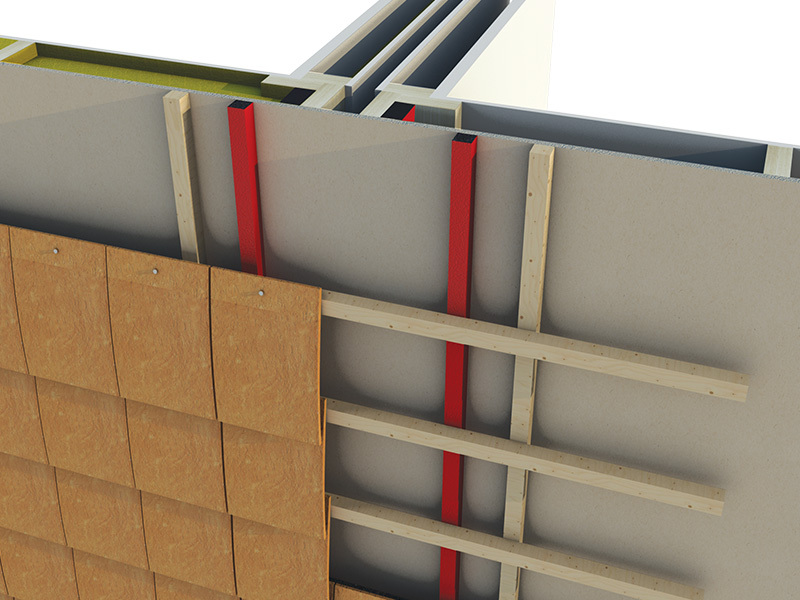 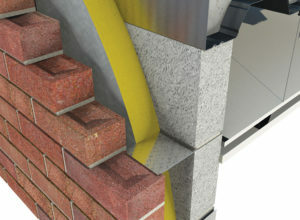 High expansion intumescent will lock against the external side of the internal wall in a fire, giving full protection without affecting the outer wall. 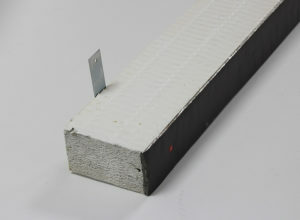 A fireproof sponge barrier with intumescent coating, clad in UPVC foil and red PVC coating to seal the barrier against moisture. Adhesive backing makes it easy to affix to the external face of the internal wall, expanding at medium pressure in a fire to seal off fire and smoke. 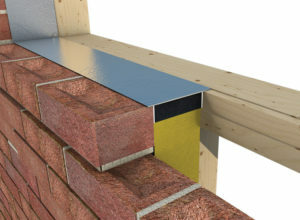 Available in 1 metre, 2 metre and 3 metre lenghts. 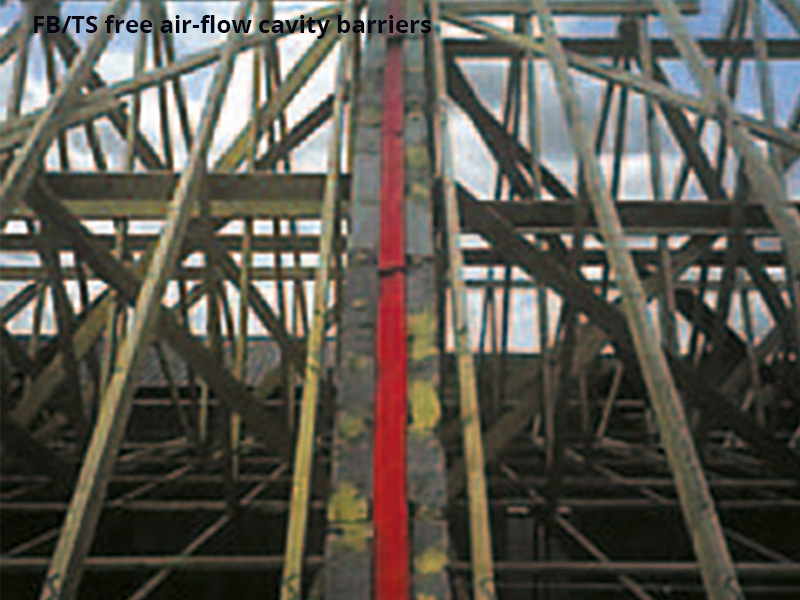 CV Strip barrier tested to BS476 parts 20, 22 and BS EN 1363-1 (1999), giving fire protection from 60 to 120 minutes. 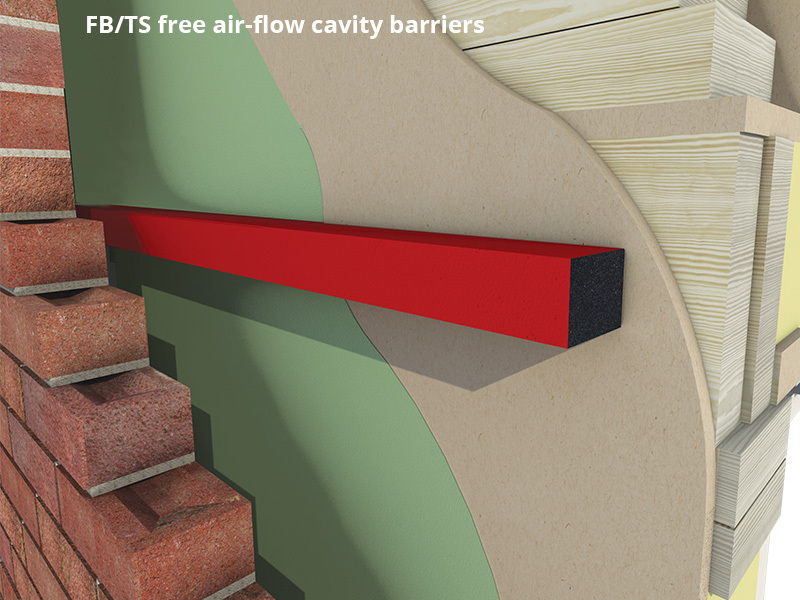 FB/TS Free-Air-Flow barrier tested to BS EN 1363-1 (1999), achieving up to 123 minutes fire protection.